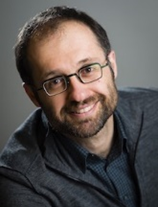 Misha Bilenko heads the Machine Intelligence and Research (MIR) division at Yandex, which integrates research and product development in core AI areas: machine learning, dialog systems, speech recognition and synthesis, machine translation and computer vision. 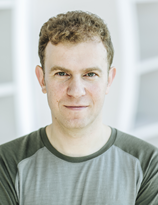 Before Yandex, he led the Machine Learning Algorithms team at Microsoft, which shipped ML technologies in multiple products across all Microsoft divisions. He started his career in the Machine Learning Group in Microsoft Research after receiving his Ph.D. in Computer Science from the University of Texas at Austin and stints at Google and IBM Research. Trust in journalism, search engines and social media has been on a sharp decline over the last years. “Fake News” is a reality and internet users struggle to distinguish credible information from falsehood. In this talk we will discuss tools and methodology we as researchers at Google are building to restore online trust and combat misinformation. 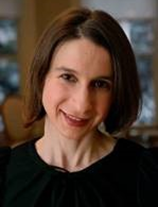 Corinna Cortes is the Head of Google Research, NY, where she is working on a broad range of theoretical and applied large-scale machine learning problems. Corinna speaks about how she got into the tech world, and some work that is happening within the Research team at Google. Prior to Google, Corinna spent more than ten years at AT&T Labs – Research, formerly AT&T Bell Labs, where she held a distinguished research position. 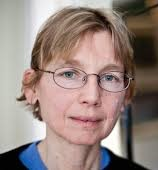 Corinna’s research work is well-known in particular for her contributions to the theoretical foundations of support vector machines (SVMs), for which she jointly with Vladimir Vapnik received the 2008 Paris Kanellakis Theory and Practice Award, and her work on data-mining in very large data sets for which she was awarded the AT&T Science and Technology Medal in the year 2000. Corinna received her MS degree in Physics from University of Copenhagen and joined AT&T Bell Labs as a researcher in 1989. She received her Ph.D. in computer science from the University of Rochester in 1993. Corinna is also a competitive runner and a mother of twins. Online social media are a major venue of public discourse today, hosting the opinions of hundreds of millions of individuals. Social media are often credited for providing a technological means to break information barriers and promote diversity and democracy. In practice, however, the opposite effect is often observed: users tend to favor content that agrees with their existing world-view, get less exposure to conflicting viewpoints, and eventually create “echo chambers” and increased polarization. Arguably, without any kind of moderation, current social-media platforms gravitate towards a state in which net-citizens are constantly reinforcing their existing opinions. In this talk we present an ongoing line of work on analyzing and moderating online social discussions. We first consider the questions of detecting controversy using network structure and content. We then address the problem of designing algorithms to break filter bubbles, reduce polarization, and increase diversity. We discuss a number of different strategies such as user and content recommendation, as well as approaches based on information cascades. Aristides Gionis is a professor in the department of Computer Science in Aalto University. He has been a visiting professor in the University of Rome (2016) and a senior research scientist in Yahoo! Research (2006-2012). He is currently serving as an action editor in the Data Management and Knowledge Discovery journal (DMKD), an associate editor in the ACM Transactions on Knowledge Discovery from Data (TKDD), and a managing editor in Internet Mathematics. He has contributed in several areas of data science, such as algorithmic data analysis, web mining, social-media analysis, data clustering, and privacy-preserving data mining. His current research is funded by the Academy of Finland (projects Nestor, Agra, AIDA) and the European Commission (project SoBigData). What if every black box machine learning model could be replaced with one that was equally accurate but also interpretable? If we could do this, we would identify flaws in our models and data that we could not see before. Perhaps we could prevent some of the poor decisions in criminal justice and medicine that are caused by problems with using black box models. We could also eliminate the need for “explanations” that are misleading and often wrong. I will present algorithms for (i) interpretable neural networks for computer vision, (ii) certifiably optimal decision lists, and (iii) certifiably optimal scoring systems (sparse linear models with integer coefficients). Models from these algorithms can often be used in place of black box models, while achieving the same accuracy. I will present new result of the organization and interpretability of the many layers in deep learning that stem from my information bottleneck theory of deep neural networks. 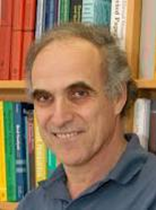 Dr. Naftali Tishby is a professor of Computer Science, and the incumbent of the Ruth and Stan Flinkman Chair for Brain Research at the Edmond and Lily Safra Center for Brain Science (ELSC) at the Hebrew University of Jerusalem. He is one of the leaders of machine learning research and computational neuroscience in Israel and his numerous ex-students serve at key academic and industrial research positions all over the world. Prof. Tishby was the founding chair of the new computer-engineering program, and a director of the Leibnitz research center in computer science, at the Hebrew university. Tishby received his PhD in theoretical physics from the Hebrew university in 1985 and was a research staff member at MIT and Bell Labs from 1985 and 1991. Prof. Tishby was also a visiting professor at Princeton NECI, University of Pennsylvania, UCSB, and IBM research. His current research is at the interface between computer science, statistical physics, and computational neuroscience. He pioneered various applications of statistical physics and information theory in computational learning theory. More recently, he has been working on the foundations of biological information processing and the connections between dynamics and information. He has introduced with his colleagues new theoretical frameworks for optimal adaptation and efficient information representation in biology, such as the Information Bottleneck method and the Minimum Information principle for neural coding.